Constantly blow drying and styling hair may cause hair damage and dryness. For some of us who has long and thick hair sometimes we can’t avoid blow dry our hair because it takes too long to dry by itself and looks frizzy. However, recently I have found a hair dryer that does not dry my hair. So now I can blow and style my hair as often as I like without causing any damage, dry or breakage to my hair. 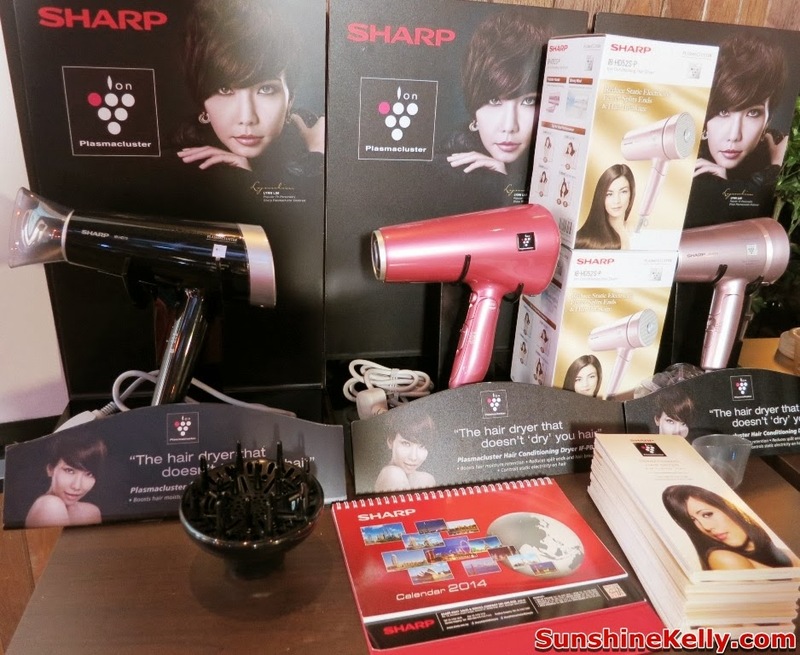 Sharp IB-HD73S is the latest conditioning hair dryer series that has Plasmacluster Ion Technology. There are 3 models for SHARP Ion Conditioning Hair Dryer such as IB-HD73S Series which I am currently using, IB-HD52S and IFPB1S. The IB-HD73 series is the biggest capacity among the three, it is for salon use that has hi-power and hi-airflow and available in 3 colors; white, black and pink. The IB-HD52 model is smaller, lighter and more compact; it’s great for travel use and available in 3 colors also white, black and pink. The IFPB1S is the pioneer model, it is suitable for home use and this model is available in white, pink and gold. All of them are equipped with Plasmacluster Ion Technology; moisturizing effect; reduction of static electricity and deodorizing as well. 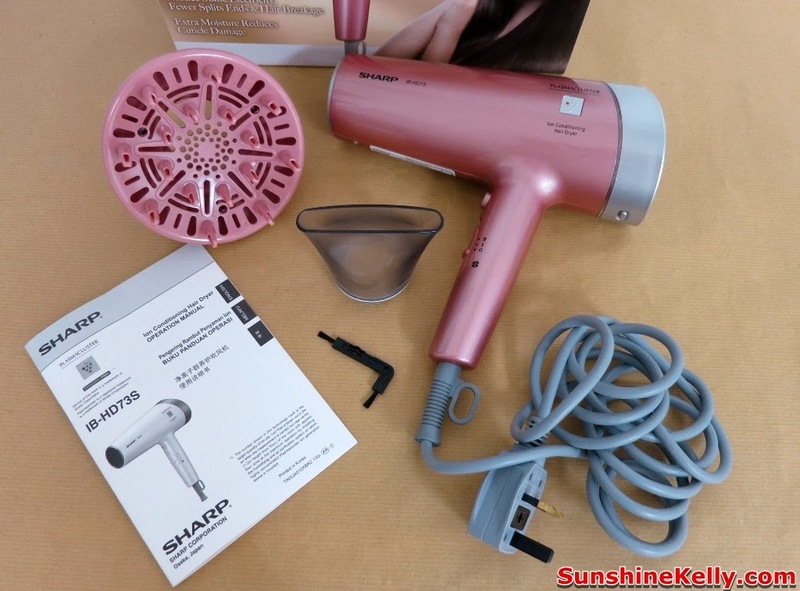 I have been using SHARP IB-HD73S Ion Conditioning hair dryer, although it said it is for salon use but I find that the weight (about 700g) and size of this hair dryer works well for me. The high capacity actually helps me to blow dry my hair faster at the same time protects and conditions my hair. Normally hair dryer will make my hair dry, breakage and split ends. But after using SHARP hair dryer I noticed that my hair looks shinier and healthy. There is no more dryness because of the moisturizing effect by Plasmacluster Ion. When the positive and negative ions merge in a continuous flow it forms an ample layer of moisture. 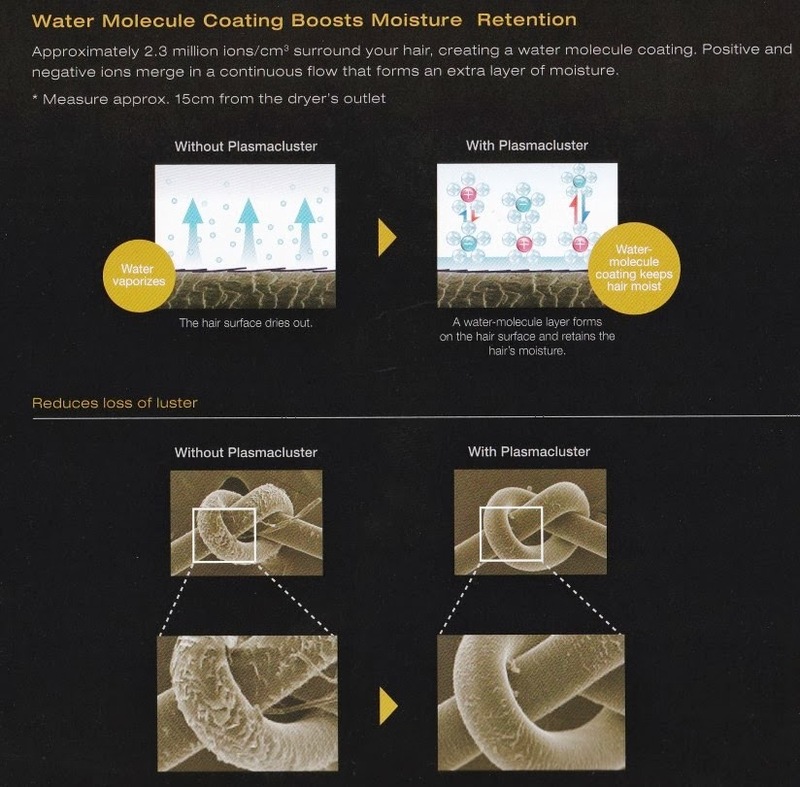 The water molecule coating boost water retention keeps the hair moist. There are less hair breakage and split ends because of the Reduce Static Electricity. Normally when you brush your hair, the brush takes on a negative charge and the hair a positive charge. 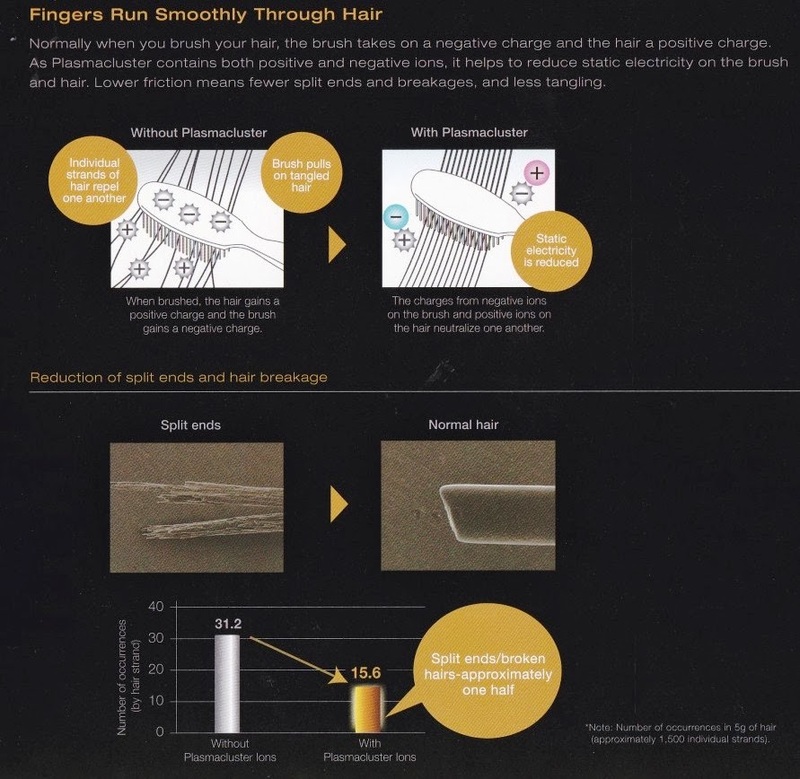 As it contains both positive and negative ions, Plasmacluster helps to reduce static electricity on the brush and hair. 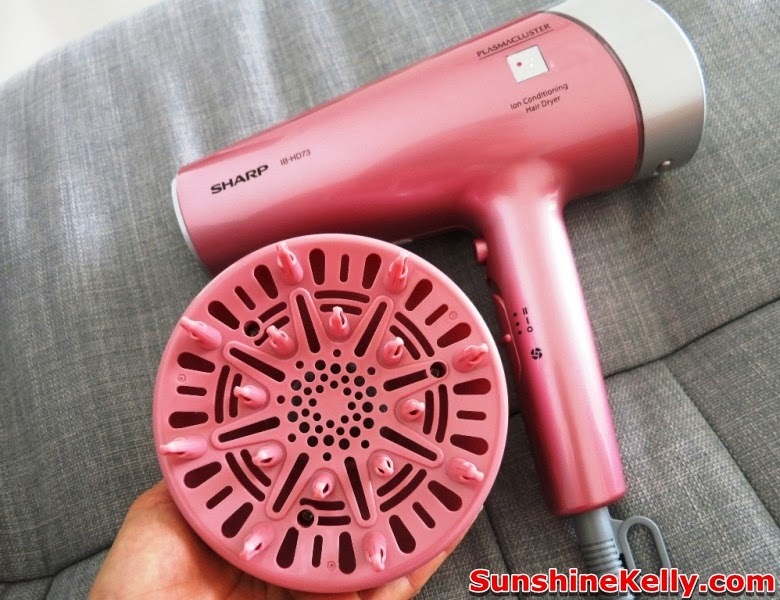 Now my fingers can run through my hair smoothly after using the hair conditioning hair dryer. Lower friction means fewer split ends and breakages and less tangling. 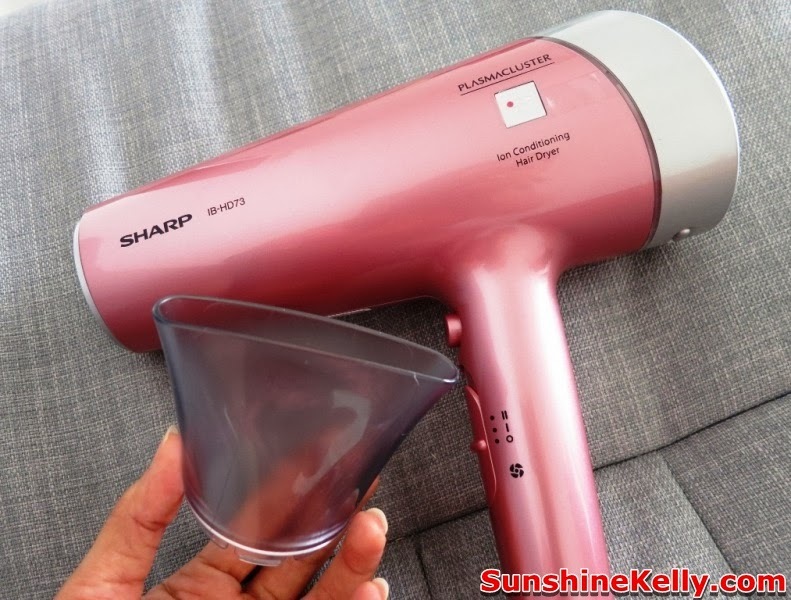 SHARP IB-HD73S Ion Conditioning hair dryer comes with more concentrator nozzle, diffuser and cleaning brush. The concentrator nozzle helps to direct the air flow more precise. This is great for hair styling and straightening purposes. The diffuser enhances more volume at the roots for curls and bouncy style. This volume diffuser can be use to gently dry straight, curly or wavy hair. Hair Tips: to add volume to the hair roots, insert the pins into hair in such a way that they touch your scalp. 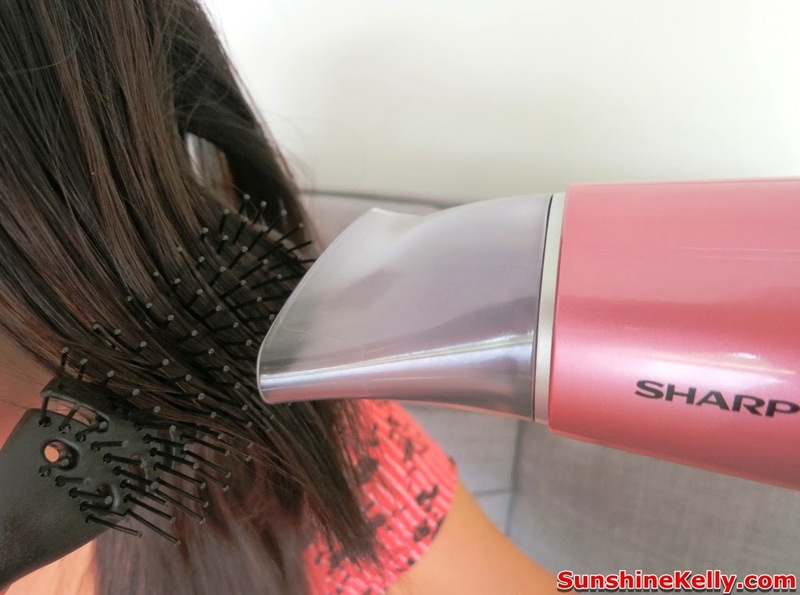 Make rotating movements to distribute the warm air evenly on hair. There is 3 level of temperature adjustment I (fix the styling), II (dry hair) and III (dry wet hair quick). I can control the speed of fan or airflow; I (gentle airflow for styling) and II (strong airflow for fast drying). There is also a Cool Shot Button in the center that helps to fix a style with cool airflow. If use the hair dryer with hair care product that contains fluorine, resin or silicon; the residues might trap inside the main unit of the Plasmacluster Ion unit. About every 2 months, need to do cleaning and maintenance. It is easy, just open the back cover, pull out the Plasmacluster Ion unit and use the cleaning brush to gently brush of the residues. 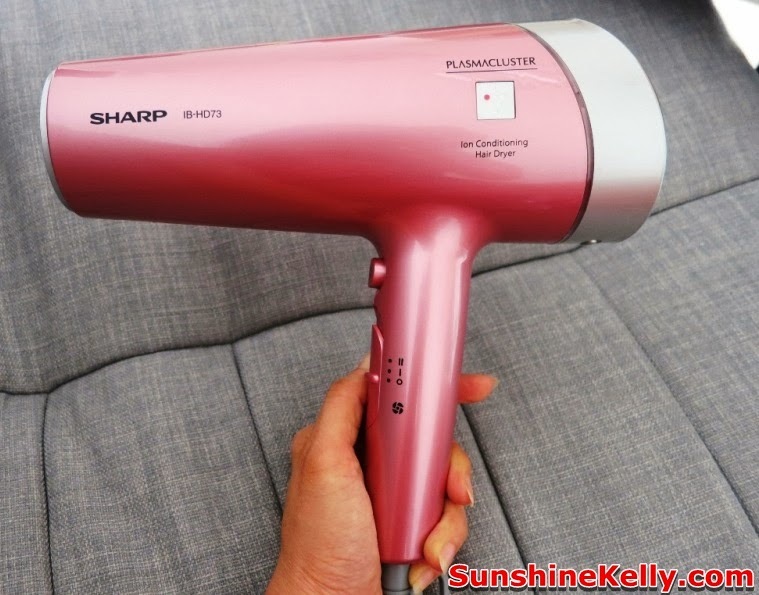 Overall, I love my SHARP IB-HD73S Ion Conditioning Hair Dryer, it makes my hair looks shinier, moist and smooth even though I dry my hair quite regularly. It is worth to invest in a good quality hair dryer that does not cause dryness and damage to our hair. Because hair is our crowning glory, it is important to take extra care of our delicate hair.